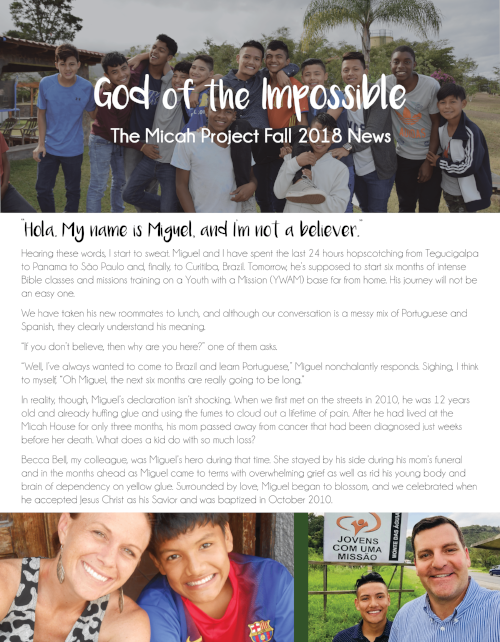 Periodically, the staff of The Micah Project in Honduras publishes and distributes newsletters for the Micah family to report on current activities of the ministry. Past newsletters are available here in PDF format to archive Micah history. Click on the title to view the newsletter.